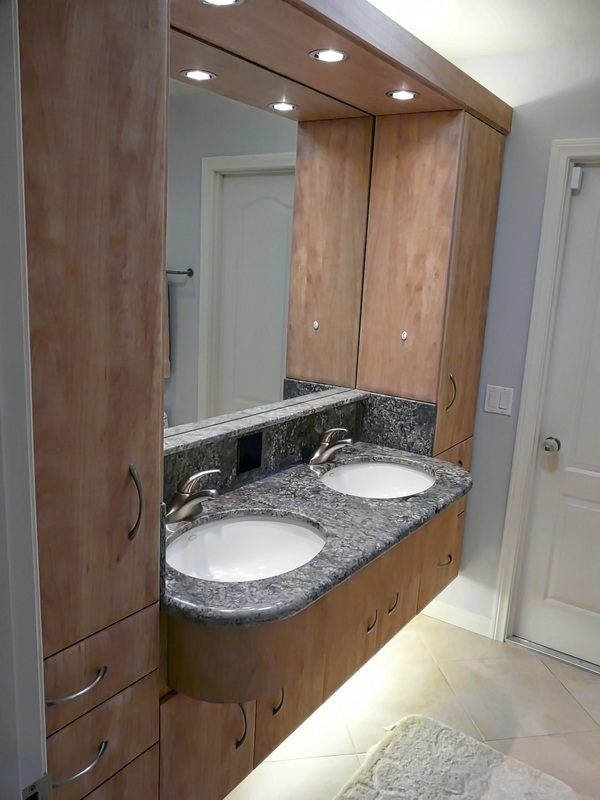 Cabinets: Candelight Maple Thermofoil Doors and Parts with Pillowed Edges All 4 Sides. This is the second project we did for this young couple. 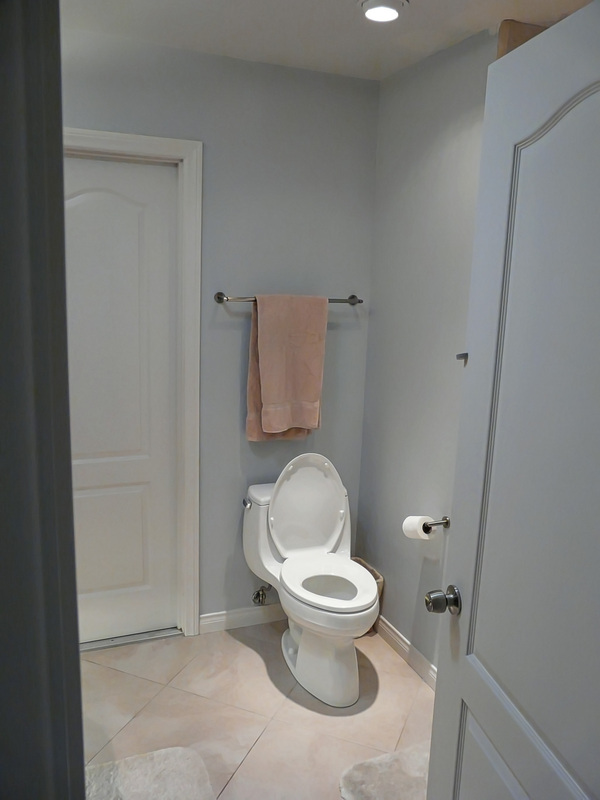 We did their master bath as soon as they bought this home. 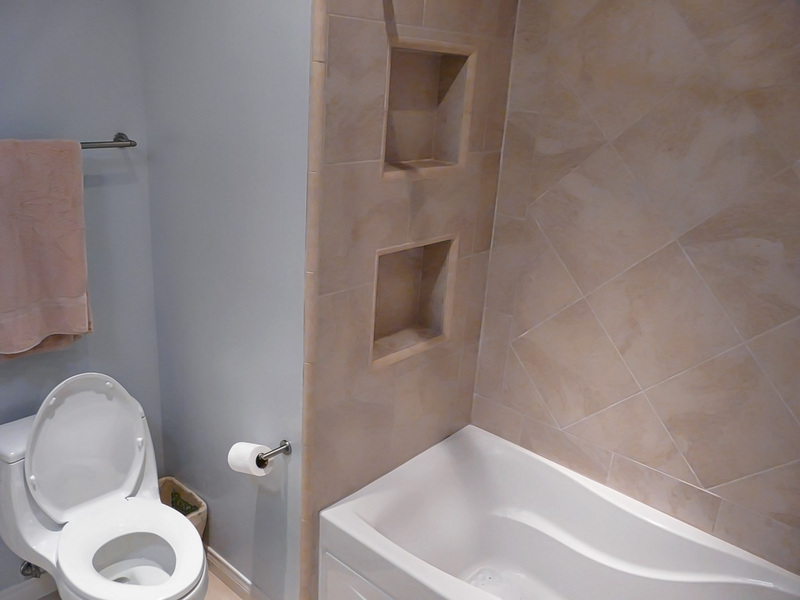 A few years later, when they were expecting their first child, they called to focus on this kid’s bath, with the priority to get it done well before the expected due date. 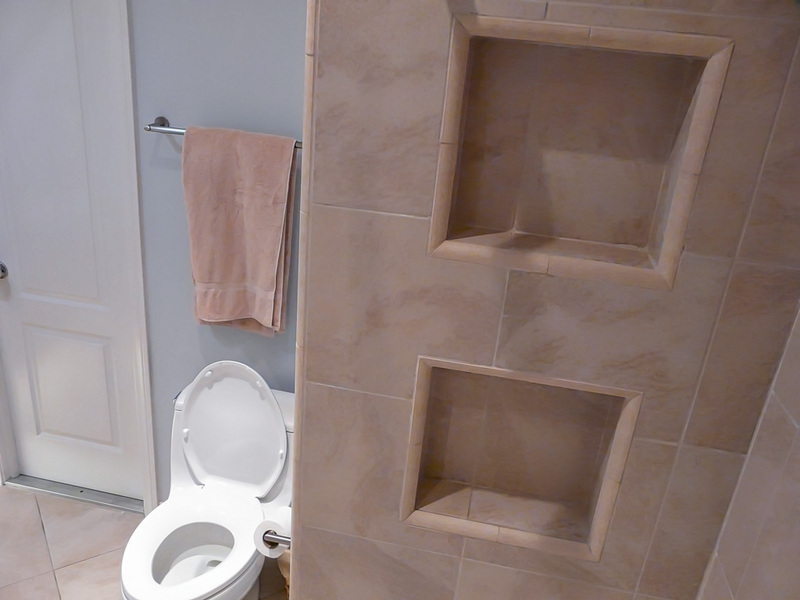 As with the master bath, they used almost all my functional bath design suggestions. The only element they decided against was the on-demand heater for this bath. Their thought process was that it would not be needed for many years while the kids were young and primarily using the bathtub. When the kids got older and began showering, they could then determine if the heater was necessary to add to help keep the room drier. I understood their logic. 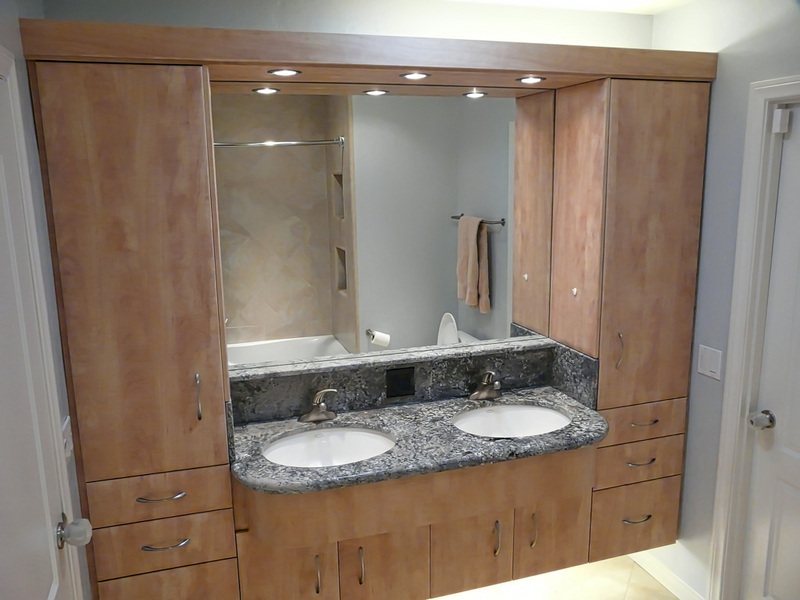 They stayed with the Euro style cabinets and storage for this bath, keeping the configuration almost the same as the master bath’s, including the drawers. 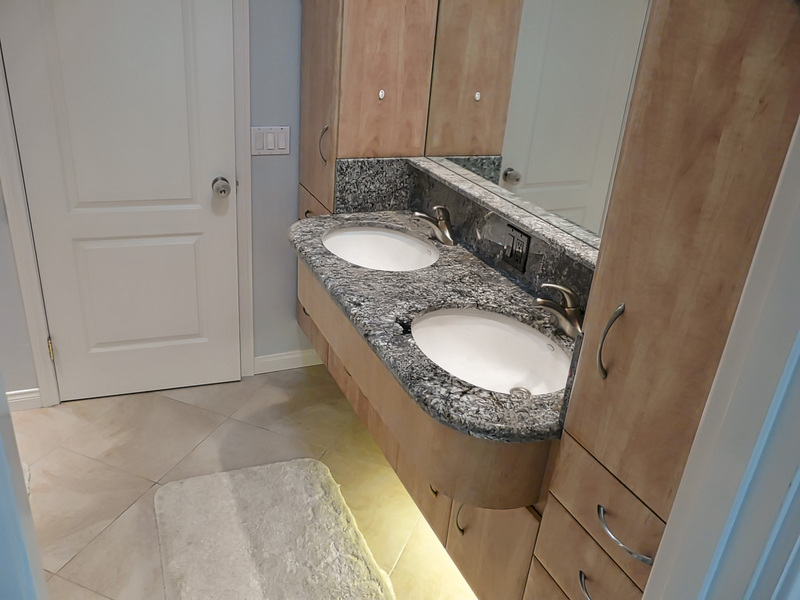 They did change the color to a light maple thermofoil, which was a bit less expensive than the post-formed laminate used in the master, and went with undermount sinks instead of the vessel sinks as done in the master. 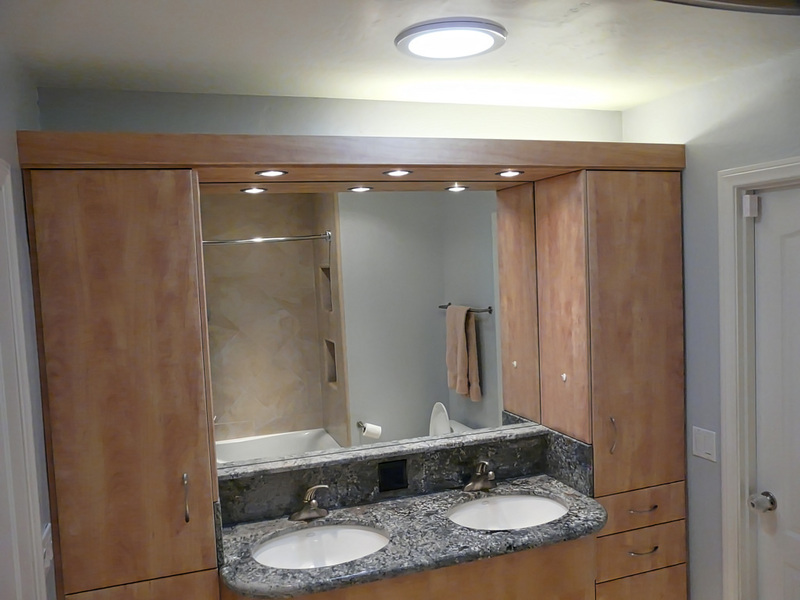 To get a lot more natural sunlight in this interior windowless bath, we added a Solatube that, as you can see from these daytime photos, adds a surprising amount of natural light and distributes it well throughout the room. 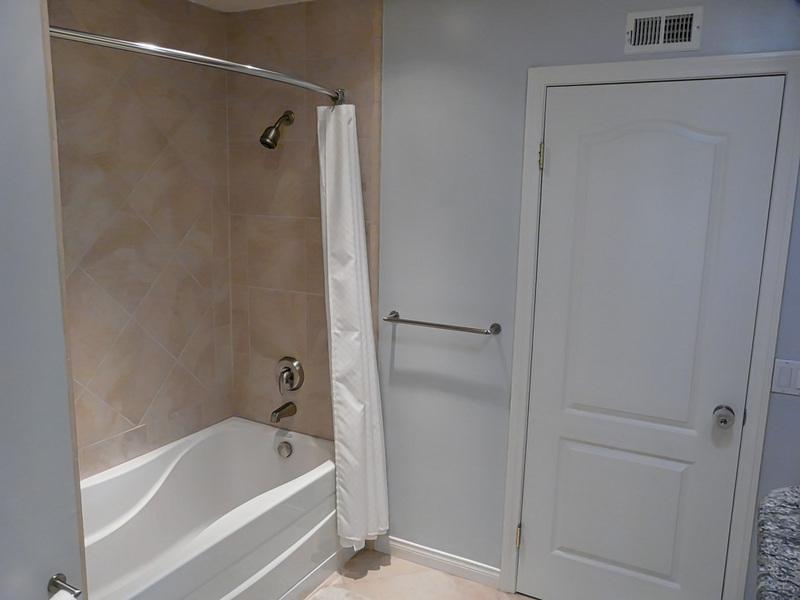 It’s a great product for bringing natural light into areas of the home like this enclosed bath where standard windows are not a viable option, at a cost considerably less than a full skylight. 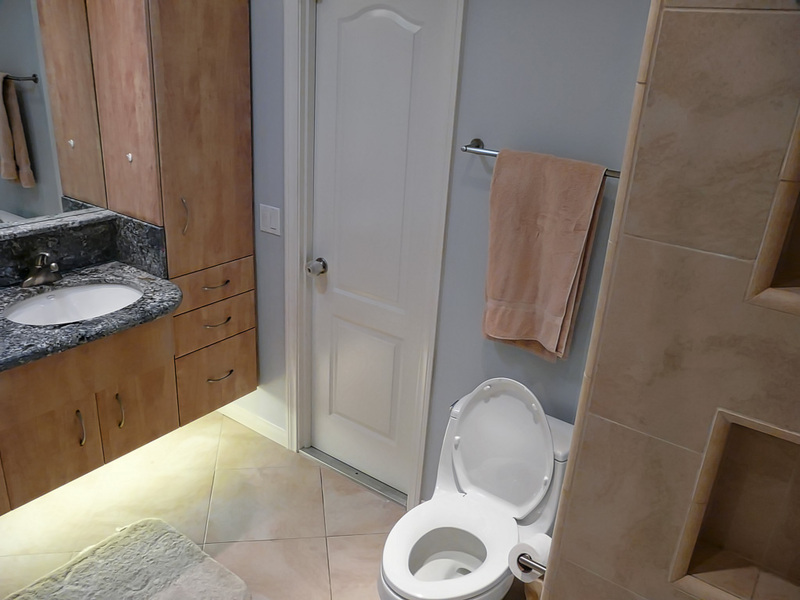 The only thing needed to upgrade this project today is to change out the florescent lights over the cabinets, the pendant bulbs, and exterior light bulbs to LED versions. 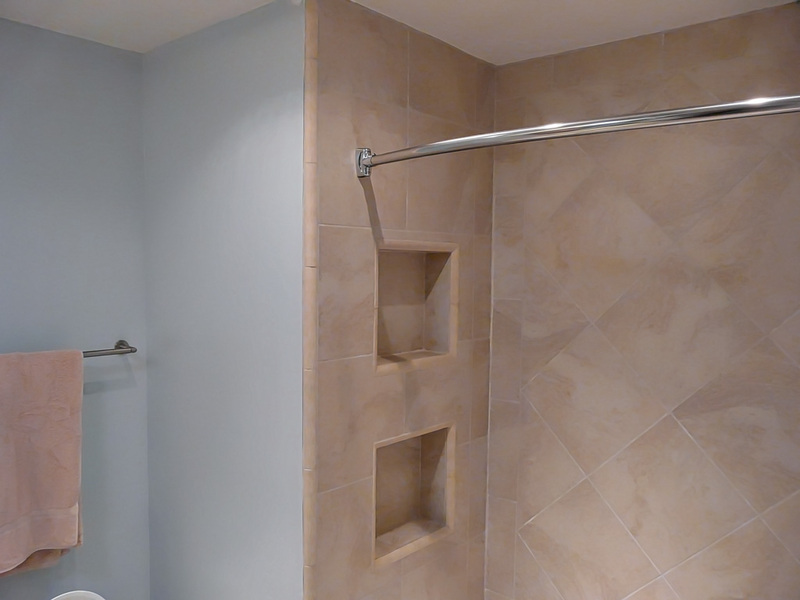 And maybe someday add an on demand heater, if needed to keep the room dry during the used of the shower.